Mary Gormandy White is co-owner of MTI Business Solutions, where she works as a professional HR, management and leadership development trainer, consultant, and speaker. Her professional background includes experience in higher education, advertising, operations management and retail merchandising. She has worked with LoveToKnow since 2007. She currently edits LTK's Money & Business channels. You can connect with her via LinkedIn. Mary is managing director of MTI Business Solutions, a leading Gulf Coast based corporate training/talent development firm working with clients throughout the U.S. She specializes in training, assessment and consulting services focused on building better workplaces through developing skills related to HR, management, leadership, workplace relationships, communication, team building, conflict management, employee selection and more. She is a frequent keynote speaker at conferences and association meetings nationwide. Mary's HR-related certifications include SHRM Senior Certified Professional (SHRM-SCP), Senior Professional in Human Resources (SPHR), Everything DiSC® Certified Trainer/Accredited Workplace Facilitator, and PXT Select Certified Professional. Mary is a long-time Society for Human Resources Management member and volunteer. She also teaches professional development and certification preparation courses for HR professionals, including an online exam prep class for the SHRM-CP and SCP certifications. Mary’s professional background includes extensive experience in management, HR, instructional design and more. She is also the author of 101 Human Resource Management Tips in the LifeTips book series. Mary's professional background includes positions as PR Director, Media Director, Research Analyst and Account Coordinator with well-known advertising agencies in the southeast. She handles marketing for her own small business and also provides social media marketing services to a number of clients, including both service and product-oriented businesses. She is the author of 101 Successful PR Campaign Tips in the LifeTips book series. Mary has extensive experience in operations management, having worked as a school director for a large proprietary education company before becoming an entrepreneur in 2003. She has been involved in every aspect of setting up a small start-up business, as well as managing an existing company with a large number of employees and significant operating budget. She continues to oversee day-to-day operations as co-owner of MTI Business Solutions. Mary has a Master's degree in Communication from Auburn University and an undergraduate degree in Business Communications from Spring Hill College. She worked professionally in advertising and public relations for several years, where she was involved in media buying, print and broadcast production, copywriting, writing for media, publicity, event planning/management and more. She has also taught a wide variety of communication classes in higher education and corporate training settings. Examples include: public speaking, public relations, interpersonal communication, workplace/professional communication, crisis communication, conflict management and more. In her current role, she provides public speaking services at conferences and association meetings nationwide, as well as consulting and training services related to workplace communication. Mary has extensive experience providing social networking training and consulting services. She teaches corporate training seminars and audio conferences on crafting and implementing social media marketing strategies for marketing, branding and recruitment purposes. She also manages social media marketing for her own company and for a number of clients. A great deal of Mary's professional experience is in the online arena, specifically in the area of training. She teaches a number of online courses and webinars and has experience designing and delivering online training. She also has significant digital marketing experience. Mary spent nine years working in higher education a school director, department chair and instructor with a career college. She has also worked as an adjunct instructor in traditional colleges, teaching courses in Communication, Marketing and Public Relations. She currently serves on the Board of Advisors for a career college's Business Administration program. Throughout her career in higher education, Mary spent a significant amount of her time helping students prepare to enter the workplace. She has extensive experience providing training related job search strategies, resume writing and interview skills and often provides outplacement training services for companies going through downsizing. Her human resource management expertise allows her to provide job seekers with the benefit of an employer's point of view. Mary has five years of experience working as a merchandising specialist for several merchandising service companies on a contract and part-time basis. She primarily serviced product lines in department stores including Kohl's Belk, Dillard's and JCPenney, where she provided merchandising services for clothing, lingerie, handbag and luggage lines, as well as housewares and home decor products. She has experience setting up and maintaining retail displays according to planogram, as well as inventory management and tracking sales trends and promotions. She also completed merchandising projects in supermarkets, mass merchandise stores and drug stores. Mary is a seasoned business and leisure traveler, spending a significant amount of time on the road each year. Her work with MTI Business Solutions involves teaching seminars and workshops at various locations around the country, so she is a frequent business traveler. This experience provides her with first-hand insights into planning and preparing for business travel, as well as making the most of frequent traveler programs. She also travels extensively for leisure, sometimes in conjunction with business trips and sometimes separately. In addition to the significant amount of time Mary spends traveling personally, she also has professional experience promoting business and leisure travel destinations and events. For example, she has handled publicity for events such as the Gulf Coast Human Resource Management Conference and St. Margaret's Blessing of the Fleet. During her time working in advertising agencies, she worked on a number of tourism accounts, including the Battleship USS Alabama, several hotel properties, a convention center and a number of golf courses. Mary and her husband own a fifth-wheel RV and enjoy taking it on road trips several times each year, accompanied by their three dogs. Her RV adventures have ranged from short weekend jaunts to cross-country trips lasting several weeks. She has experience camping in all types of destinations, from rural locations in North Carolina and New Mexico to major metropolitan areas such as Dallas/Fort Worth and New Orleans. She also participates extensively in other outdoor activities, including hiking, kayaking, boating and motorcycle adventures. Mary is a long-time cooking enthusiast who has created original recipes and adjusted existing ones to meet specific diet and health goals since her teenage years. She has written a food and cooking column/blog on HubPages since 2007 and was a Taste of Home Field Editor for 2011 and 2012. Her consulting business offers food safety training and certification for restaurant professionals. She has also handled public relations for a number of food-oriented fundraising events, including Wine Festival at Five Rivers and St. Margaret's Blessing of the Fleet. Mary is an active volunteer with several nonprofit organizations including the Junior League of Mobile, Alabama and the Mobile Society for Human Resource Management. She has held a number of volunteer board positions, both elected and appointed, and has provided public relations services for a number of fundraisers and nonprofit campaigns. 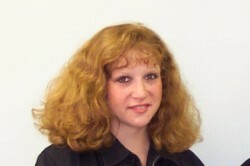 Mary lives in Mobile, Alabama and provides consulting and training services to clients throughout the United States. She holds a Bachelor's degree in Business Communication from Spring Hill College and a Master's degree in Communication from Auburn University. Where Can Americans Travel Without a Passport?